Wall To Wall Construction | Wall To Wall Construction, LLC expands its service offering by launching its exterior services division to include roofing, siding, windows and gutter services. 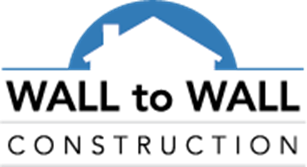 Wall To Wall Construction, LLC expands its service offering by launching its exterior services division to include roofing, siding, windows and gutter services. Wall To Wall Construction, LLC officially launches its Design-Build service... Wall To Wall Construction, LLC opens corporate office in Catonsville.